It takes a unique (and financially committed) person to face the daily challenges of a frugal lifestyle. Whether you’re living the cheap life by choice or by necessity, there are few circumstances only frugal people will ever understand. Depending on how invested you are in living within your means, you’ll either be coined a good manager of your money or an eccentric cheapskate — either way, you’re always finding new ways to stretch your dollar. You love them for their all-you-can-eat spread of sweet and savory cuisine, but always come prepared with a game plan — skip a meal before your excursion to ramp up your appetite and keep your eyes on the big players: meat and seafood (kicking all greens out of the equation). Thirty minutes into your meal, you’ll likely be found keeled over the ribs tray with a case of the meat sweats, working your way through a food coma. You’re a champion of fairness and frugality, even if that means accounting for every single fry you nibbled on from the community appetizer. 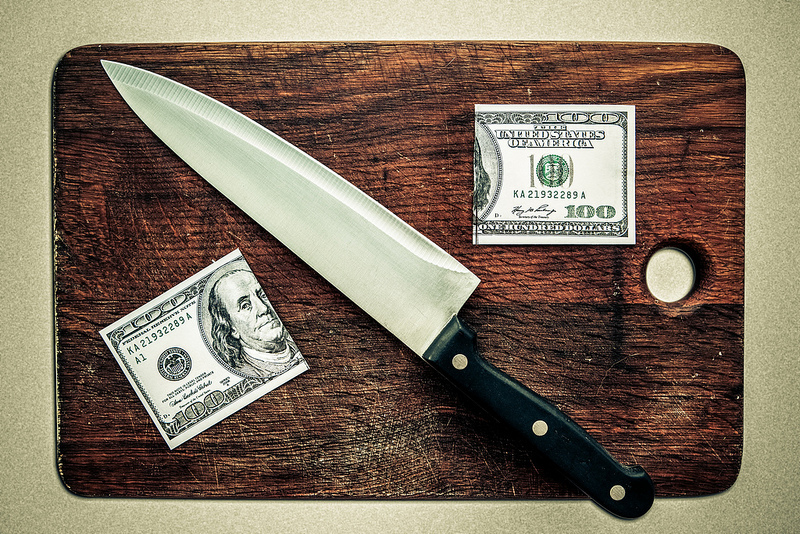 You won’t pay less — or more — than you consumed, and you pride yourself in keeping the bill square. Your friends, however, see it differently — especially when you’ve spent an extra 20 minutes itemizing the check. One of your trade secrets to saving money while eating out is buying the cheapest (and most bland) item on the menu. Simple means savings, but you’ve got a few tricks up your sleeve and they’re called ketchup, ranch and hot sauce. But when you’re cut off from the sauce because it’s $0.50 extra, you find yourself struggling to keep your cool. Portraying the tight-fisted Ebenezer Scrooge is far from a slight, considering the man clearly knows how to save his money. But it’s a clear dig at your character. While it would be nice to play other key roles, like the Ghost of Christmas Past or Tiny Tim, you find yourself embracing the part because, at the end of the day, no one can pull off frugality on stage as good as you. When pennies are too sparse for a low-flavor meal, you turn to freebies at the table, like water and bread. You’re perfectly content noshing on the pumpernickel, rye and jalapeno varietals and not paying a dime. You’re so good at saving money that your friends salivate at your all-carb diet, while they’ve paid premium dollar for a paltry salad. When on a budget, you’re the first to find a work-around to any costly need. After going on a month-long bread regimen, your jeans might start feeling snug. But all cheapskates know that paying $10 to get your favorite jeans taken out is not an option. An easy — and free — fix? Get an extra inch of breathing room on those rough days by undoing your pants button. Now that’s a relief! “Receive, reject, regift” is a mantra you abide by, particularly over the expensive holiday season. You’re the Santa Claus of last year’s gifts and you dole the goods out freely. But some years you’re off your game, and accidentally regift a present you said you “absolutely loved” to the person who first gave it to you. This scenario will force you to comment on how you two have impeccable taste, but if the receiver is onto you, a silent exit is also acceptable. Knowing your frugal habits, you’ve probably signed up for a health insurance plan with the lowest premium and highest deductible and copays. This is wise when you’re at tip-top health, but when a flu bug gets around, you’d rather let the ship go down than shell out a few bucks for a check-up and treatment. You’re the Typhoid Mary of your office but, hey — at least you’ve kept that $20 bill in your checking account. Before stepping into a retail store, you’re armed with your arsenal of coupons, usually giddy with the thought of double (or triple) stacking benefits for 90 percent-off savings. But sometimes the register catches onto your expertly played game and puts a roadblock on your discount. The moans, groans and eye-rolling of patrons waiting in line behind you are almost music to your ears, as you muscle your way to the store manager to push for the full discount. No one likes a wet blanket at celebratory events, but alcoholic beverages don’t come cheap. Fortunately, you’ve got an extravagant personality and can put on a really great show with the help of a little H2O. Who says you can’t have fun sober? This take on comfort food spices up a cheesy classic.